Tonight, Monday Oct. 27, 2014, WJLA7 News Channel 8 (Washington DC) hosted a second Town Hall, “Your Voice, Your Future: Ebola in America.” This time, there was no live audience, and all questions came from twitter or Skype video. The broadcast started with a recap of the news today, with an emphasis on the partial relaxing of the “quarantine” of health care workers returning from Liberia, Guinea and Sierra Leone, and the release by New Jersey authorities of nurse Kaci Hickox. The panel comprised the following: Scott Betzelos, MD at InNOVA Fairfax, Rajani Ward (nurse, Medstar Washington Hospital Center), Gerry Connolly (D, VA 11th District rep), Ben Carson (neurosurgeon in Seattle). Scott Thuman moderated. There was an additional appearance by Joxel Garcia of the DC Health Department. The best link so far seems to be this. WJLA will probably provide a complete video soon. Ward said that 85% of nurses in the country say they are not prepared. A University of Oklahoma student asked what happens if there is an outbreak on a campus. But the panel responded that an “outbreak” in a small geographical area of secondary transmission within the United States was extremely unlikely. CNN’s “Shaken: 25 Years Since the Quake” (link) gives a one-hour riveting account of the rescues of people trapped by the 6.9 Loma Prieta Earthquake, and how they are doing today. One woman was trapped in a car that pancaked under a double-decker Oakland freeway. A surgeon was going to amputate her foot when at the last moment a mechanic got a winch to work. The documentary also covered the rescues in the Mission district, where some row-homes had been built on landfill. It also covered a rescue on the Bay Bridge where a portion collapsed. Wikipedia attribution link for picture of USCG picture of collapsed Viaduct. 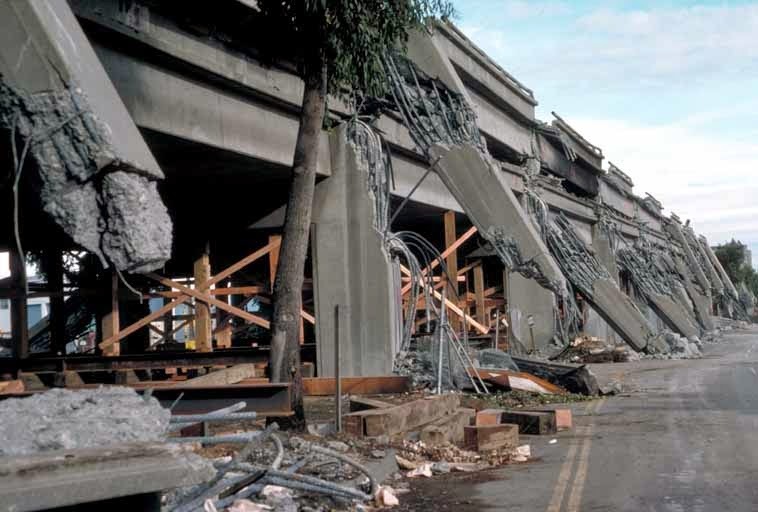 What would be important would be the engineering changes to make new bridge or viaduct spans earthquake resistant, and what could be done about rebuilding homes safely in less stable soil. The documentary also covered the location of faults around the area, some almost underneath homes. I remember the night of the earthquake, which struck while I was waiting for the DC Metro. The World Series game had started but was cancelled and delayed about two weeks. Fay Vincent was commissioner of baseball at the time. This may be an opportune point to mention the 1996 film "Volcano" (Fox), by Mick Jackson, where a volcano forms in downtown Los Angeles. Don't know if this is even possible. "News Channel 8" in Washington DC hosts forum "The New Terror Threat: Your Voice, Your Future" about ISIS and related terror threats; I am "in the movie"
Tonight, WJLA (the Washington DC ABC Affiliate) News Channel 8 sponsored a one hour Town Hall, “The New Terror Threat: Your Voice, Your Future”, in the Artisphere Auditorium in the Rosslyn area of Arlington VA. WJLA has its own account of the event here. The session was hosted by Leon Harris and Allison Starling. Scott Thuman took the questions from Twitter. There were seven panel members, including Lt. Col. Tony Shaffer, a CIA trained operations officer, Zainab Chaudry, Michael Steele, Col. Douglas Macgregor, Eleanor Holmes Norton, Faheem Younnus, and Omri Cerren. The session was precede by a 4-minute video introduction of the ISIS/ISIL threat. Shaffer opened by suggesting that the greatest threat within the US could be lone wolf suicide bombers. Later, to a Twitter question, Shaffer said that ISIS had hacked one particular military family in the US to prove that it could threaten it, in answer to a question about ISIS threats against families of military members or even reporters at home (as well as threats in Britain and Australia leading to arrests). There were six questions from the audience. One person asked about a Senate bill to declassify a report that suggested that 9/11 had been actually supported by the Saudi royal family. There was a suggestion that Iraq should be divided into three countries, according to religion, and that a single nation was not possible. There was also a hint that Turkey’s Sunni government actually wanted to see ISIS succeed. Muslim governments in the region have a hard time opposing the creation of a caliphate if it is believed to be specified in the Koran. I asked the last question, about unusual WMD’s such as EMP flux devices and radiological devices. Panel members did not believe ISIS was capable of deploying such devices in western countries, but they were concerned that other radical groups, especially in border areas of Pakistan, still could have such intentions. In this event, the QA was the “film” so I am “in the film” as a character and actor playing myself. Afterward, I got to talk to both Shaffer (to whom I mentioned the comment from an HRC forum about gays in Russia that ISIS recruits from Britain were often redheads because they tended to be bullied), and Leon Harris, who had also heard about the draconian quarantine against Ebola by a local health department in Ohio (my Issue blog today), where he was from, and he indicated that many local health departments might panic. The remaining videos (1-9) may be viewed on my Wordpress blog here (or on Google+). Pat Milton and Robert G. Anderson produced a CBS 60 minute interview with FBI Director James Comey by Scott Pelley Sunday night, the contents of which were quite sobering. The link is here. Comey said that about a dozen or so fighters have returned from Syria, and have to be watched. It is very difficult to stop Americans with valid passports from returning. He indicated that he was still concerned that Khorasan could be plotting an attack (probably on an inbound airliner) aimed at the US or western ally country, and that an incident could be imminent. There was footage of Comey as a teenager. He is now 53, but looks breathtaking younger at 6 feet 8. Comey described a lone wolf terrorist as a “lone rat” (the broadcast mentioned a recent workplace beheading in Oklahoma). He also talked about state-enhanced hacking of American business. China was the only country he would mention, although it’s obvious that he could have talked about Russia and Putin, which he chose not to comment on.